Starting in the ’60s with “Merseybeat” sound, the musical heritage in Liverpool is unparalleled. Guinness World Records named Liverpool the World Capital City of Pop, and the sounds of the city are as varied as the venues, with plenty of great places to put on a show. 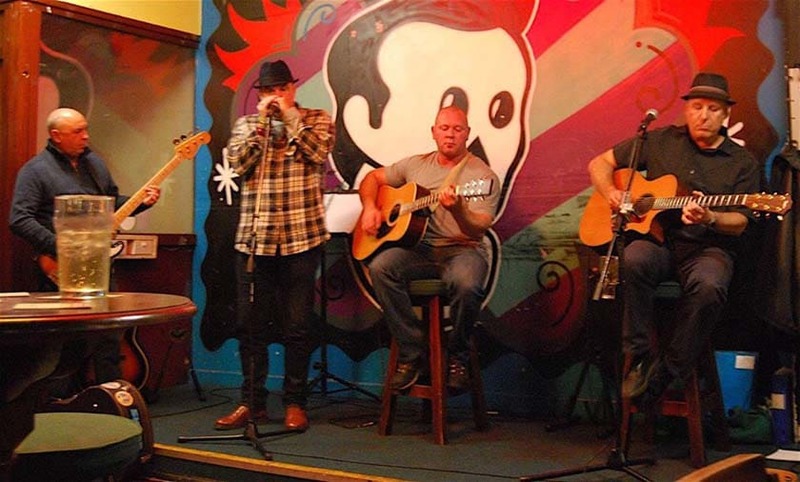 A great way to immerse yourself in the local music scene, there’s a large selection of open mic nights on offer for all levels of performers. ‘The Jac’ club in Liverpool is, of course, steeped in Beatles history. They were frequent customers when it was a coffee bar, with John Lennon and Stuart Sutcliffe studying at the nearby Liverpool Art College and Paul McCartney attending the Liverpool Institute. The band was going by the name ‘The Silver Beetles’ at the time, and the owner put them to work redecorating the bar in exchange for use of the basement as a rehearsal studio. Their murals have since been restored in the basement bar. 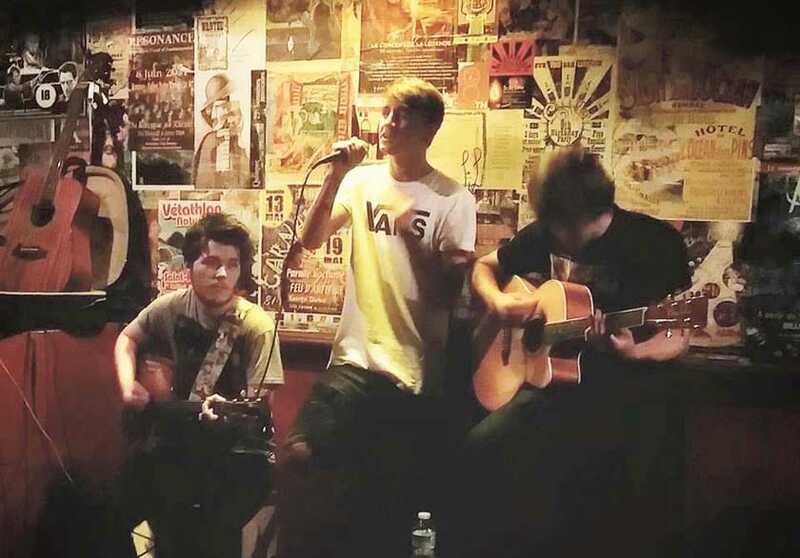 The weekly Jacaranda open mic night is very popular and has become a rite of passage for local performers. Hosted by local musician Thom Morecroft, it’s an impressive showcase of acoustic talent. There’s just a PA on offer and musicians asked to bring their own instruments. The night can get busy, so head down early to secure a space. 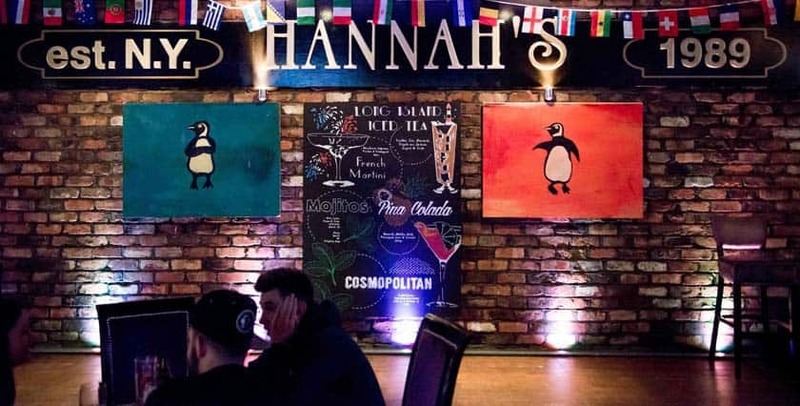 Hannah’s bar is a New York style music bar with live music on offer Sunday through Thursday. One of the most welcoming and inclusive drinking establishments in Liverpool, the bar has a fresh, modern feel with a skylight roof that opens up and allows in a gentle breeze in the Summer. On Tuesdays, they open the stage to a selection of the City’s emerging talent, with an open mic night run by Ogo Nzeakor. He’s an extremely friendly and accommodating musician who’s been hosting there for several years. Backing tracks are allowed and they have all the usual equipment there for performers to use. It’s a very popular night with singers from all backgrounds attending. From students having a go, to established artists just wanting to play, everyone is welcome to get involved. A friendly underground pub in a vibrant part of Liverpool’s city centre, The Pilgrim is tucked away on an old cobbled back street, but it’s worth discovering. There are retro jukeboxes and the requisite Beatles pics on the wall. Full of students (and priced accordingly) and colourful characters, this place can be a good laugh if you’re looking for a fun night out. Their open mic night is held downstairs and is hosted by Graham Birch. It’s a small intimate evening with a guitar & microphone provided, and they mostly see singer-songwriters, with the occasional poetry or spoken word and even full bands with a bit of notice. The Waterpudlian is a warm and welcoming pub, with friendly staff and a relaxed atmosphere. They have a real passion for ale and of course music,. They have live bands every weekend and an open mic that’s been running since 2005. Anything goes at Stamps Too, the audience knows it’s a pub that is dedicated to live music, so everybody who goes is there to support them. Host Mark Reader has been running the night for over 14 years and has been a musician for 30 years. He used to be a Musical Director and session musician for BBC TV. There’s a small stage near the bar, so you’ll be front and centre for your performance. They provide a full PA system, the host supplies two spare guitars, an Ovation and a D28 copy, as well as a Fender Precision Bass. Mark tries to help and encourage new performers with advice. He makes sure they have as good a sound as possible for their performance, so it’s a great choice for newbies. 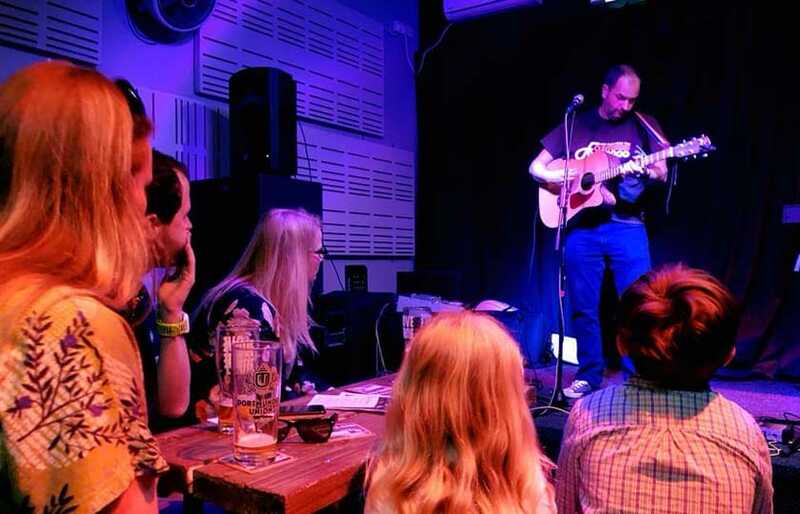 Liverpool Acoustic Open Mic has been putting on live music events since 2009, with their weekly open mic taking place in the front cafe bar at 81 Renshaw on Renshaw Street. 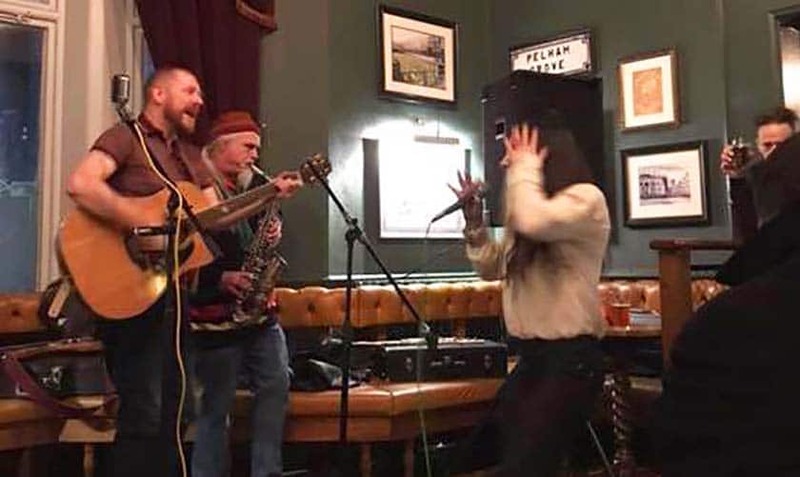 They call themselves the ‘friendliest open mic night in Liverpool’ and it really is a small, friendly affair with a wide range of performers and styles. Hosted by Derek King, each week features one or two booked guests playing extended sets. The rest of the evening consists of 3 songs or 15-minute slots. They have a PA, mic and stand, with musicians asked to bring their instruments. If you’re interested in performing, message their Facebook or just rock up and play on the night. 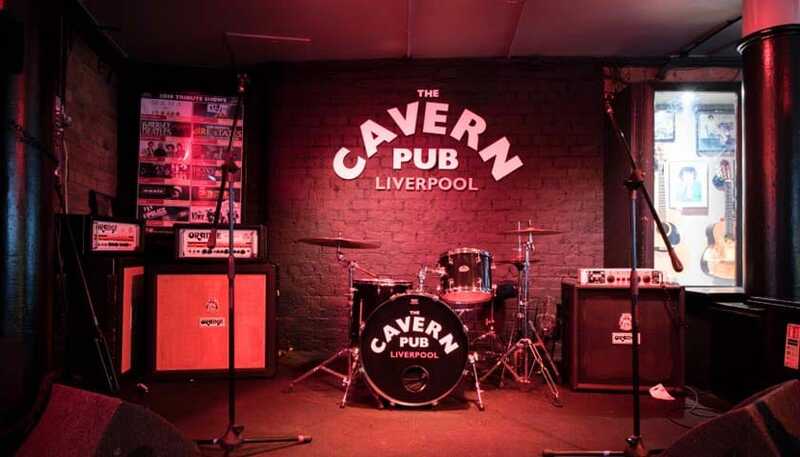 The Cavern Pub is located on Mathew Street just over the road from their world-famous sister venue, the Cavern Club. A hive for all different kinds of music, there’s a wide range of Cavern and rock ‘n’ roll memorabilia on display, plus there’s live music every night of the week. Singer-songwriter Ian Prowse hosts the weekly musician’s open mic night, which can be rowdy or chilled depending who shows up. They have a full PA with monitors, 2 guitar amps, 1 bass amp, a full drum kit and mics. They’ve had talented artists like Miles Hunt, Lee Mavers & Damien Dempsey, but it’s a very inclusive night. Acts are allowed 3 songs per set and this one isn’t for karaoke lovers; no covers allowed. This iconic Irish pub is located on the outskirts of the city centre and is renowned for their live music nights, as well as serving the best pint of Guinness around. They have two open mic nights every week, one on Tuesdays for solo acts, and another on Thursdays for duos and groups. Hosted by Kieran Clark, there’s a three-song maximum of either a cover or an original. A manager from their booking agency tags along and the participants have a chance of being signed up for paid gigs. All the usual equipment is provided, musicians just need to bring their instrument and their A-game. They usually see between 8 -20 performers a night and the standard of musician is generally excellent. They also get a lot of newbies having a go too. It’s a great experience for them as the room is filled with other musicians who are there to help and guide anyone new if they want advice. A Wednesday night out in Liverpool wouldn’t be complete without a visit to Bar Cava, a brilliant little dive bar just off the square. Posters, fliers and prints covering all the walls and the staff are very friendly. Aside from a large selection of tequilas—there are over 30 flavours available, including baked bean—the bar hosts a lively weekly open mic that’s very popular with the local talent. Run by Ron Tribal Sanders, there’s a guitar, a cajon and mics provided for performer. It’s a very relaxed affair which gets a bit busier when the students are about. It’s nothing fancy or pretentious, but it’s a fun night out for anyone willing to risk a little heckling. The Albert is a down-to-earth local British pub on Lark Lane with a great atmosphere and friendly staff. They’ve got live music on offer every weekend. Their weekly Open Mic has been hosted by the wonderful Ste Hotson for over 10 years now. He takes a lot of pride in the night and is very supportive of new acts looking to gain a little bit of confidence on stage. The audience is very responsive and welcoming, whether you’re an old pro or a first-timer. The night can be quite laid back at the start but gets lively as things progress. Everyone usually ends up dancing and singing along. There’s a recently built stage, and while The Albert PA system doesn’t look like much, it sounds great. There’s also a guitar provided, but people are welcome to bring their own instruments. You can join in with the whoever is performing, provided they don’t mind accompaniment. The usual free drink for every act is on offer. Right in the heart of Liverpool’s City Centre, The Scholar is a student-friendly pub that is warm and welcoming. Their open mic night is co-hosted by the bar and LJMU musician’s society and acts from ages 18-60 odd have turned up to perform originals and covers. The night (much like any night at the Scholar) is very chilled out and inclusive. Most people stick around all evening to support whoever else is playing. Everyone plays through the house PA, with a mic/stand/leads, etc. all provided. There are spare slots on the mixer so more than one person can play. A lot of paid gigs during the week started off as open mic performers. So this could be a great opportunity to kick-start your music career. Famed for their support for local up and coming artists, LEAF is a charming, independent tea shop and bar. They play host to several music-related events. One of these is Out of the Bedroom, a night of live music and the perfect showcase for local talent. There’s usually a packed house and great atmosphere. Hosted by Johnny Sands, they generally see acoustic and folk performances, with the occasional bit of pop music or other genres as well. Each week the picturesque setting (fairy lights decorate the stage) plays host to a range of performances. There’s also a featured artist with their own set of around 5 to 8 tracks. This is an ideal venue to try out new material. Evil Eye is an intimate and quirky Day of the Dead-themed Mexican bar, cantina and hang out. Named after a song by Fu Manchu and formerly a butcher’s shop, it’s located in the heart of South Liverpool’s student population. Singer-songwriter Matt Reekie is your host for the evening. A guitar, amp and mic are provided, but performers are welcome to bring their own additional instruments. They welcome an eclectic range of regulars and first-timers from across the genres each week. You only need your pipes and a small amount of courage to get involved. Weekly open mic night, hosted by Katie Mac. Head down to play a few songs or have a drink and listen to others. Get in touch to get your name on the list. Located at the top end of Cain’s Brewery, The Tank Room opened in 2017 and has already earned a reputation for supporting local arts. There are frequent gig nights and live music on offer. Hosted by Rachel Thompson. Acoustic music is their speciality. Perform a song and get a free drink. 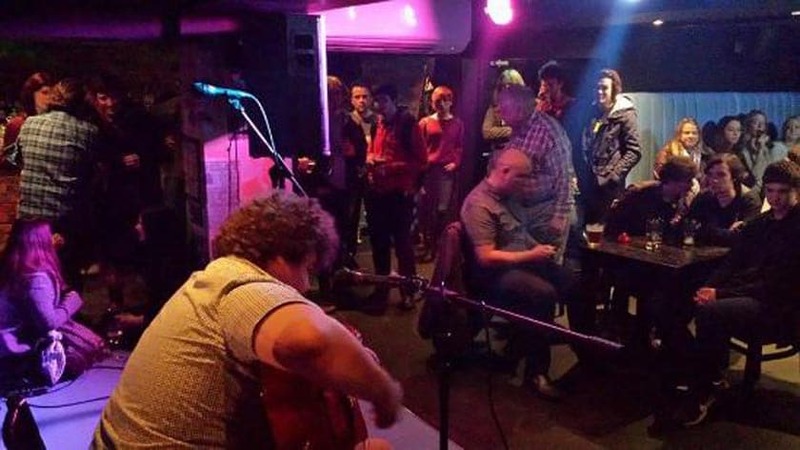 A popular venue on the Liverpool music scene, people from all walks of life attend their acoustic showcase. 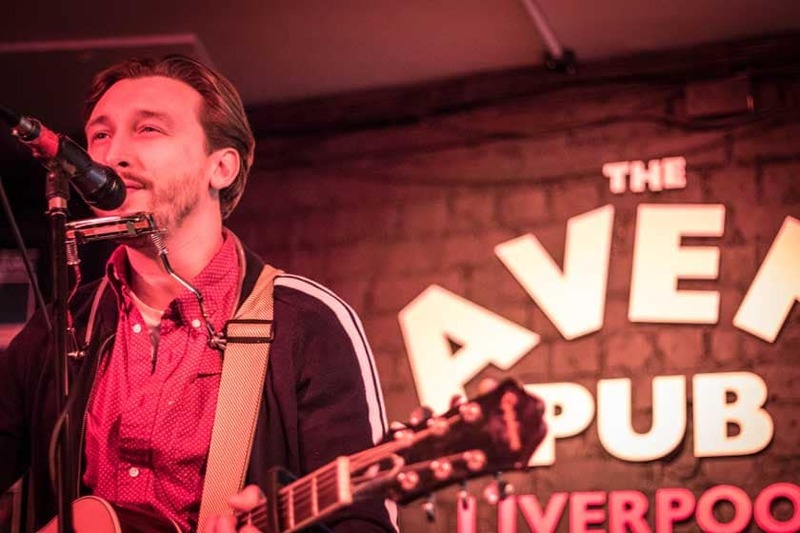 Held in the courtyard and hosted by musician Johnny Sands, this is one the best acoustic showcases in Liverpool. There’s a diverse range of instruments and styles of music on show. Sets are limited to 5 songs. So, now you know some of the top open mic nights in Liverpool there are no excuses to get out there and get performing! Have you considered entering Open Mic UK? Auditions are coming to Liverpool! Hi Matthew, thanks, we’ll have a look and add it!